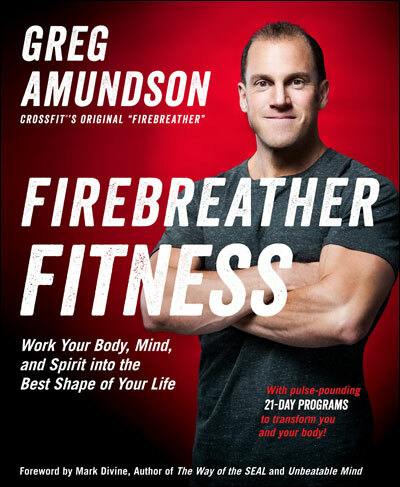 This is Part 2 of a story Greg Amundson tells in his new book FIREBREATHER FITNESS. Don’t miss Part 1! Despite having plenty of strength, power, stamina, and an assortment of skills in the gym, I had my Achilles’ heel: double unders. I didn’t like doing them and, because I let that get in the way of my judgment, I hadn’t practiced them and mastered them. This was a costly mistake, and it bit me in 2009 when a workout to qualify for the games was comprised of deadlifts (no problem!) and double unders, a jump-rope movement where the rope passes beneath your feet two times per swing. The double-under nature of this movement ramps up the cardiovascular demand and taxes a range of skills. I’ll jump to the painful conclusion here: Despite an all-out effort, I couldn’t do the double unders well enough to qualify. I fell short. 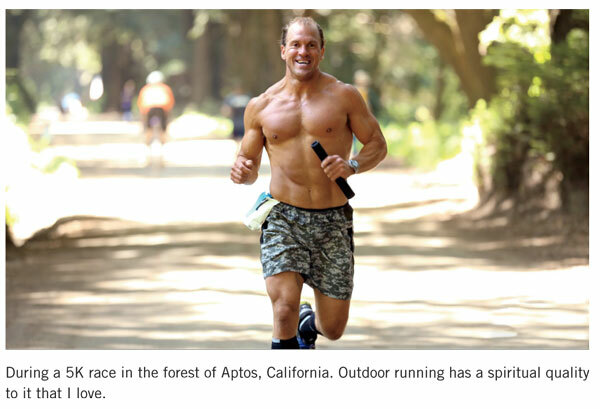 As one of the early leaders of the CrossFit movement, this was embarrassing. I could draw a line from my inability to perform this movement directly to an ego conflict. Ego often leads us to choose workouts that we like and are good at, and urges us to avoid movements that we don’t feel confident with. My failure at what had become a routine skill in CrossFit offered me a potent and valuable lesson. When I did not qualify for the Games that year, I went back to the drawing board and worked hard to improve my double unders. In a matter of weeks I had become adept at them. All it took was intention and consistent attention, and an obsession to learn a skill. But here the story took an unexpected and powerful turn. Because I had addressed a deficiency in my set of basic skills—in this case, my coordination and accuracy, honed by the double unders—the adaptations the training incurred spread throughout my athletic capacity. Indeed, my entire athletic foundation took a leap forward, and skills outside of the purely athletic realm also got a bounce. For example, I noted that my skills on the shooting range jumped up a level. I had been in law enforcement for nearly a decade, and all of a sudden, I was a better shooter and had better weapon-manipulation skills because my accuracy and coordination skills with the double under had improved. I learned that improving capacity in skills requiring coordination, accuracy, agility, and balance does not exist in a vacuum, and instead spreads throughout the entire body and mind, and lends improvement to any other skill requiring these same capacities. Improving my double unders also improved my speed and skill with plyometric box jumps. I could jump down from a box and fire right back up with a much quicker reaction force. In other words, moving the lever up on one skill can send waves throughout the systems in such a way that it’s expressed in gym movements, as well as movements outside of the gym. And when it comes to sports, there’s a real payoff. Because, after you have spent time working on those general athletic skills through the kind of training outlined in this book, you have a great advantage in learning a new sport. Those general skills are hardwired into each and every sport in unique ways, and you will find that you pick up other sports swiftly. This is one of the keys to longevity: keeping things interesting. Again, this is part of the appeal of functional-fitness conditioning. You can put it to use in having fun with different sports. The icing on the cake is this: By learning new sports, you send new dimensions of skill through the entire system. Nuances that come with a new sport will help you make the next PR in the gym. It might even help your double unders! One of my training partners years ago was an amazing athlete and the only person I’ve ever met who can do a strict one-arm pull-up with both arms. How did he get that rare skill? It came from mountain climbing! Team sports, individual sports, outdoor activities, indoor activities— everything and anything from track to month-long sea-kayaking trips. Find a sport that intrigues you and jump in!